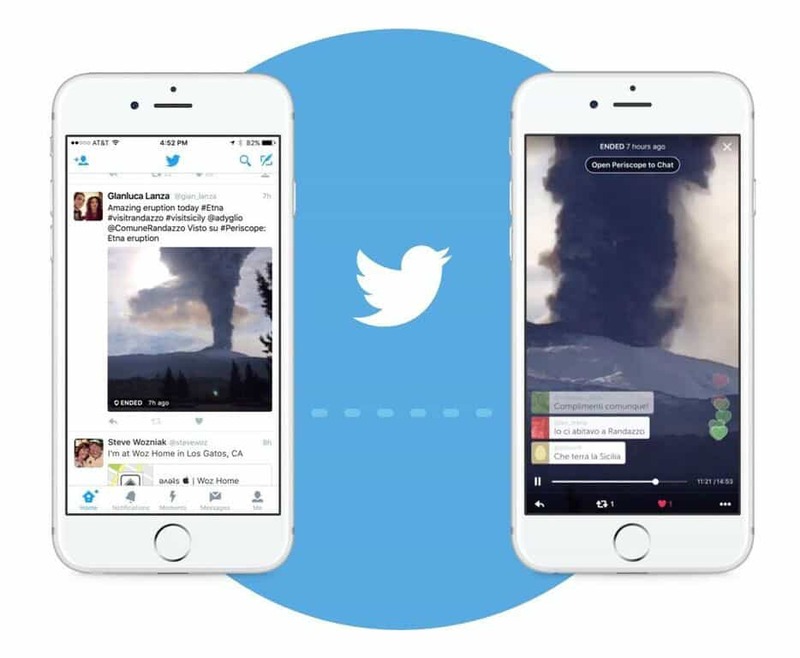 Yesterday, Twitter announced that Periscope broadcasts will now show live on Twitter. This is huge news for anyone using the live streaming-video service and it’s another big blow to Meerkat in the fight for live-video streaming supremacy. It also means big things for marketers looking to reach their audiences in a more powerful way. 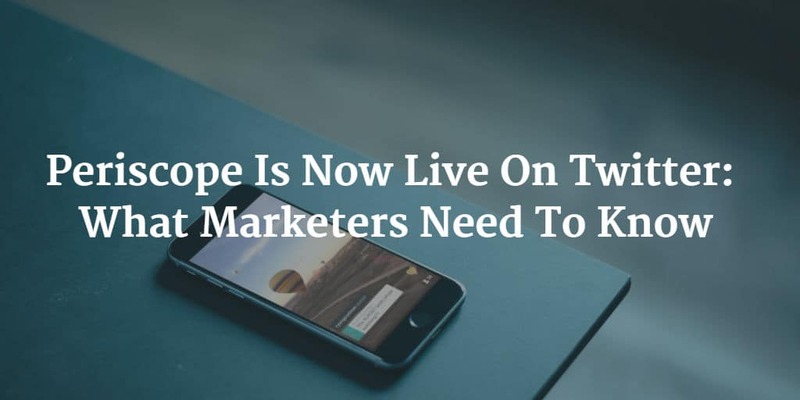 Here’s a look at what the new update changed and what Periscope live in the Twitter timeline means to marketers. This change to Periscope means that viewers no longer need to have the Periscope app on their device or even go away from Twitter to view Periscope live-streams. Both live and replays display directly in tweets. Users can still view video live and replayed in the Periscope app, but this update means millions who haven’t downloaded Periscope can now view the videos too! The feature is rolling out on Twitter for iOS over the next few days, and users of the Android app and website will see integration as soon as it’s ready. Soon, only broadcasters will need to Periscope app, as everyone will be able to view the video from their Twitter timelines. It really adds a new dimension to Twitter, as it joins Facebook in allowing live video streaming right on the platform. For marketers looking to reach their audiences through live video, this change means you now have access to the massive Twitter audience. No longer do viewers have to download the Periscope app to take part, which means more viewers for your video. This change removes a huge hurdle for marketers using live video to engage their audience and should open up a new audience to your streaming video. Since launching, there have been more than 100 million Periscope broadcasts created. Each of these are an opportunity to engage and interact with an audience in real-time. Keep in mind that about 30% of Twitter users utilize a 3rd party client, so they’ll still need to have the Periscope app installed to be able to view broadcasts. You may still want to give an indication that you’ll be broadcasting live in the announcement message, so those without the official Twitter app or not on Twitter.com will know you’re live-streaming. Bringing live video directly into the Twitter timeline means a huge new audience will now be able to view and engage with the thousands of Periscope broadcasts shared every day. By making the streams available without the need for an additional app, Twitter has opened the enjoyment and information that live video brings to even more of their members. This means marketers have an even greater potential audience to share with their message with too. Thanks to the changes this update brings, our live steaming-video can now be seen by far more viewers than before. It’s made Periscope broadcasting much more appealing to marketers, thanks to the increase in potential viewers and opportunities for engagement. Think about how your brand may be able to use live video to engage and interact with your target audiences. Then schedule your broadcast and build a better bond.